Updated: April 18th, 2018. Cookies are a super important part of the web. 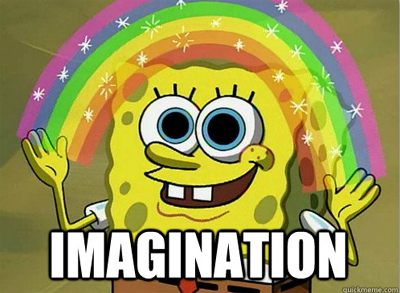 Imagine the world without them: you wouldn’t be able to use your Facebook or Twitter. They help retain data throughout a user’s visit on a webpage, so naturally they’re an important component of web analytics, as well. But this shouldn’t be a problem, since you can use Google Tag Manager to set and retrieve data from cookies in fairly easy way. 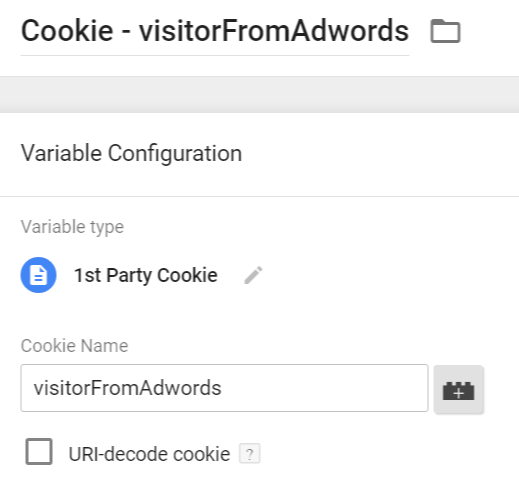 In this blog post, I’ll show you how to easily utilize cookies with Google Tag Manager and take your web tracking to the next level. I remember when I was just starting to learn GTM. It was a giant leap for me, when I realized I could set and read cookies without developer’s help. It added much more flexibility and freedom to my tag management. What if I need to fire a specific Pop-up if a visitor originally landed on my website from Adwords AND has already viewed 5 pages? Not a problem! Why Should you Even Bother? Few Examples. A visitor has viewed 5 pages. Let’s show him a popup with special offer! A visitor is actually a user in your SaaS (Software as a service) but is currently browsing without logging in. Nevertheless, he/she still has a cookie with value “registeredUser=true” which can be used as a condition for your trigger. A visitor has landed on your website via affiliate link. With each page view, you can preserve affiliate ID in visitor’s cookie. Here’s the full guide how to do that. Do you have a pricing page with price calculator? Let’s attach calculator’s results (price) to that particular visitor. This way you’ll see how visitors with different price ranges are behaving on your site. First, someone has to set the cookie. That might be either you (with help of Google Tag Manager), or a developer. 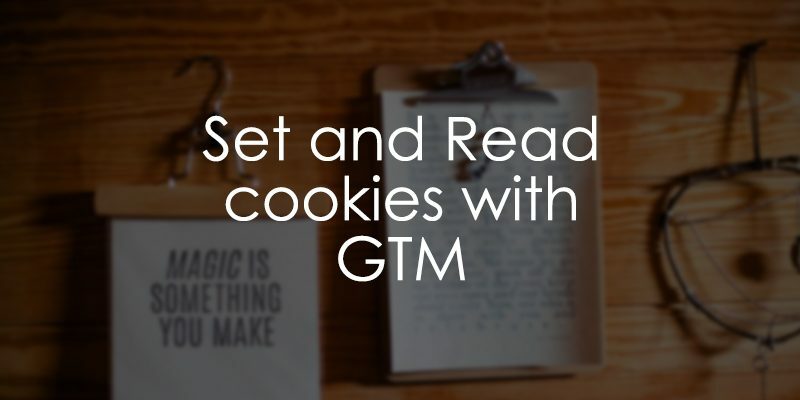 Then, you need to create a 1st party cookie variable in GTM. It will look for cookie with particular name and make its value available in data layer. You will also be able to see it in Google Tag Manager’s Preview and Debug mode. Create a trigger where condition involves aforementioned 1st party cookie variable. Fire a tag based on a trigger from bullet point No. 3.
cookieName – you should give it a meaningful title, e.g. 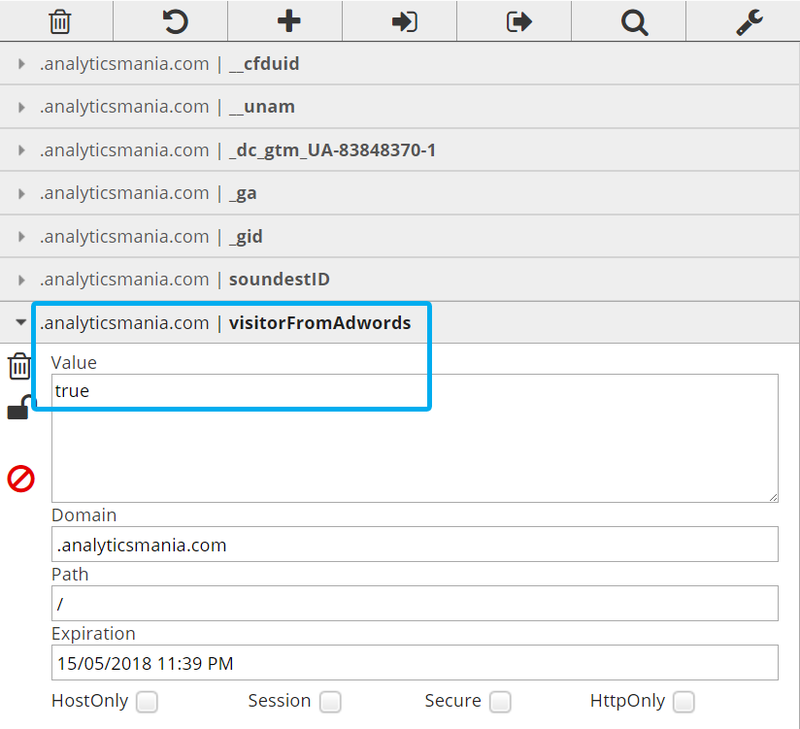 visitorFromAdwords, affiliateID, pageviewCount, etc. cookieValue – In case of visitorFromAdwords possible values ca be true or false. affiliateID cookie’s value can be 2385437, and pageviewCount cookie’s – 5.
expirationTime defines when the cookie expires. 2592000 is 30 days converted to seconds (30 days * 24 hours * 60 minutes * 60 seconds * 1000 seconds). If you want the cookie to expire after the session ends (when browser window is closed), then remove expires=”+expirationTime+”; from the end of the script. Keep in mind, that Google Chrome still runs in the background when you close the browser window, thus the cookie will “live” longer. Now, you need to decide when you want to set that cookie. Should this “set cookie” script fire when URL contains ?gclid= (meaning that a visitor landed via Adwords campaign)? Say, we want to set cookies for those visitors, who have found our website via Google Adwords. In that case, we need to create a trigger with the following settings. 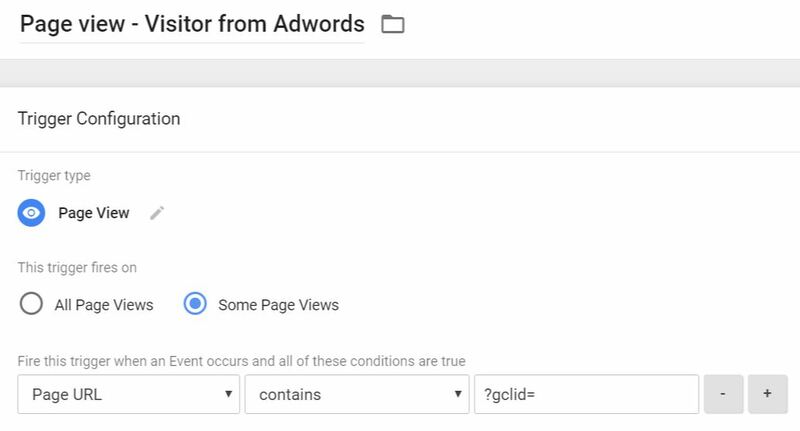 When a person clicks any Google ad, a destination URL contains ?gclid=XXXXXX. That’s the reason behind this trigger’s condition. After you created custom HTML tag with cookie-setting script and its trigger, next thing you should do is test the implementation with Preview and Debug mode. Make sure that the tag fires ONLY when URL contains ?gclid=. If you’re new to Preview and Debug mode, read this comprehensive guide. Now, let’s check whether cookie is set correctly. There are two main ways to check cookies – browser’s built-in feature (developer tools) or a plugin. Personally, I am using Chrome plugin called EditThisCookie (also available for Opera users). This really simple and intuitive extension enables me to quickly check which cookies are currently in use and what data do they contain. For Internet Explorer users, it’s recommended to use built-in features of developer tools. Anyway, let’s get back to EditThisCookie. Once you have installed this extension, a cookie icon will appear next to the Menu icon (in Chrome). Go to the website you’re currently working on, click EditThisCookie icon and you’ll see an expanded list of all cookies that are currently in use on that website. Look for cookie named visitorFromAdwords. This little piece of data will help us do the magic in further chapters of this blog post. This variable searches for cookies with title visitorFromAdwords. If it spots one, GTM will read its value and make it available in the Variables tab of Preview and Debug console. This is one of the most popular use cases of cookies with Google Tag Manager. For your convenience, I have prepared a GTM Recipe with a ready made script which counts number of page views and fires a trigger after 3. But if you’re eager to understand the details, continue reading. First of all, you’ll need to create a custom HTML tag which counts page views. Every time a page refreshes, this script searches for cookie pageviewCount and increments its value by 1. Set this custom HTML to fire on all pages. Refresh Preview and Debug mode, open EditThisCookie plugin and check whether cookie was successfully saved. Now, refresh the page. Cookie’s value should increase to 2. If you want this cookie to be valid only for that visitor session, here’s a modified script (I’ve removed all parts which are related to expiration date). Keep in mind, that Chrome handles cookies a bit differently (compared to other browsers). Even if you close the tab or window, the Chrome still might keep running in the background, therefore session cookies might be still valid. This trigger will fire when cookie’s value is greater or equal to 3. That’s it! You can now assign this trigger to any tag you want, whether it is a pop-up or Google Analytics event tag, or whatever. It’s up to your imagination. If you want to delete a particular 1st-party cookie, you need to set its expiration time to the past date, e.g. 1970 January 1st. Such cookies cannot exist, therefore, they immediately expire. In the 8th line of the code, change yourCookieName with the name of a cookie you wish to delete. This code should also be implemented via GTM Custom HTML tag and fired whenever you need to delete a cookie (e.g. after a conversion, opt-out or something else). If you run an affiliate program, you already know that visitors come to your site via affiliate links (which contain unique affiliate ID). You can fetch that data from URL, set it as cookie and send to Google Analytics as Custom Dimensions. This way you’ll see how well/terrible affiliate traffic is converting. Also, you can identify which affiliate partner is driving the most engaged traffic. If a person made a purchase on your site, save this fact as a cookie. Then, create a pageview trigger which blocks pop-ups (irrelevant to recent buyers). If you run a SaaS business, ask developers to set various data about the user to cookies. Even if the user is logged out, you can still identify him/her visiting your website/blog/etc. and send that data to Google Analytics as custom dimensions. But be aware of PII limitations. So there you have it. 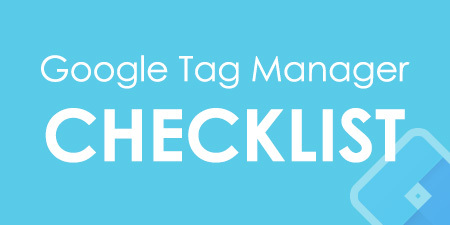 Turns out it’s pretty easy to manage cookies with Google Tag Manager. First you need to fire a custom HTML tag which sets the the cookie with particular value. Then, you need to create 1st party cookie variable within GTM. This variable’s value can be transferred to another tools (such as Google Analytics) or used as a firing condition within a trigger. If you’re looking for ways how to fire a particular tag after 3 page views, or for those visitors, who have visited a particular page, then cookies should be your weapon of choice. Another solution is browser storage (localStorage and sessionStorage), but that’s a topic for another time. this is a fantastic way to measure the content engagement and create some smart metrics that can really impact the business bottom line. Much thanks for this solution. If I could ask 2 question. 1. The cookie is valid till the end of the session (30min) or if the user returns to the site after one week it will continue to count the pageviews where it ends for current cookie? 2. Do you have an idea how to find out which page was last pageview? Just to clarify question 2. 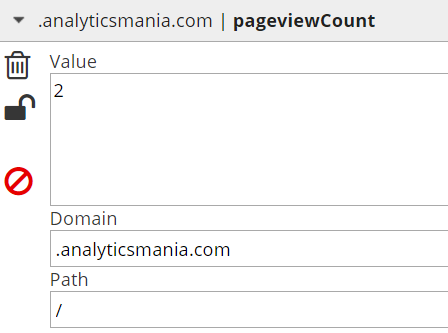 What i would like to know what was the total count of pages for "user"/client id to make some deeper analysis to find out what value certain page has. 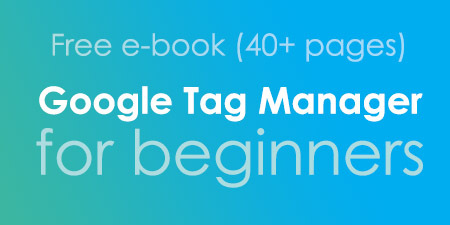 is there a chance to fire a special tag in GTM when the user sees last page and i will be able to grab the count of how much pages there were before they reached the current page? hope it is a bit understandable, anyway, pardon me the little messy explanation. 1. One cookie can be have only one expiration date: either session, either 1 week. If your cookie expires after session AND then user returns after 1 week, page view counter will start counting from start (1). 2. Sorry, I am still not sure whether I understood the 2nd question. If you wish to see how many page views or sessions do your visitors make, you can go to Audience > Behavior > Frequency and Recency. Did that answer your question? This is glorious. Great work Julius! Hi, how do I set the cookie to expire at the end of the session in the "Let's count pageviews" code. Hi Julius, can you answer my question please? Thx! What I did here was to remove everything that has something to do with Expiration. If expiration setting is not defined, the cookie will be active only during that session. But keep in mind how Chrome handles sessions. Even if you close the browser window, Chrome might keep running in the background, therefore that session cookie might still be available. "this script searches for cookie pageviewCount and increments its value by 1." 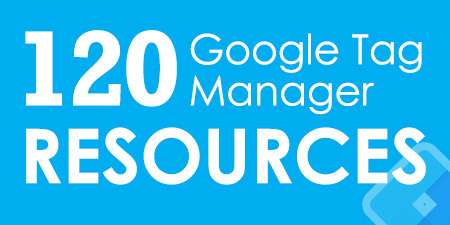 "Go to your GTM account and open list of Variables. 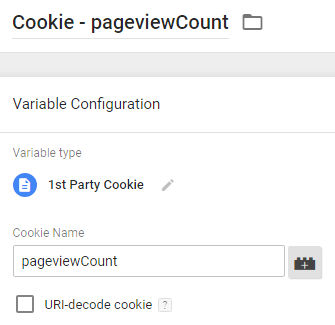 Create new user-defined variable with the following settings:"
So if I want the cookie pageviewCount to only live during the session, I'll have to update the "Let's count pageviews" script. This is what led me to my question. If I remove 30 from this part of the code in the "Let's count pageviews" code, I get an error: setCookie(“pageviewCount”, pageviewCount, 30);"
Yes, apparently, I indeed misunderstood you. I've updated the blog post by adding an additional, modified, script which creates a cookie valid only for that session. You can find it below the paragraph you've quoted in your last comment. Keep in mind that issue with Chrome is still possible. Hi! Thanks for the article, is excellent! I have a question. I can create a cookie that maintenance the UTM into "dl"(document.location) parameter? I have a problem with SPA(AngularJs) and source, atributtion, and after to test diferent options, I think this could be the solution. Do you believe that it is possible? Hey, sorry, I don't know a lot about SPA in AngularJS, thus I'm not sure whether it can help you. But yes, you can definitely store document.location in a cookie. Hello! Awesome script. Is there a way to modify the pageviewCount script so that it counts number of sessions as opposed to pageviews? Rather than counting how many times a page is viewed, I was hoping to use the cookie to determine how often a customer comes back to the site to check on prices or products. Thanks! Can i use this method as stated in the article to preserve the cookie from step 2 to step 3 so i am able to attribute to form submission back to facebook? Set the cookie in step 1 (I'd set its duration to a couple of hours, but you know your business/website better than me). When the user is redirected back to your site in step 3 and submits the form, fire all conversion tags you need and then fire one more Custom HTML tag which deletes the cookie. Here's a solution how to delete a particular cookie by name (set its date to the past) https://stackoverflow.com/questions/10593013/delete-cookie-by-name (see the most upvoted answer). Take that code snippet, change cookie's name and paste the code to Custom HTML tag. You are the best. This is the most helpful article. Thank you very much. As for how to use a cookie - I have a situation where our customer help agents open sessions logged in as customers and place orders for them. In every way during the session, this looks as if the customer is placing the order, but I need to create reports specifying when it's an agent and when it's a customer. Setting a cookie just when the agent starts the session is the trick. Thank you again! Thanks for this article. We have three different enviroments in one site. Each enviroment has a subdomein adres like: shop.site.com, community.site.com and www.site.com. The cookie can be first set by a visit in one of the enviroments. But in another enviroment I wish to use it. So for example a visitor lands in the community.site.com. I start the pageview cookie, count the pageviews. The vistor jumps to shop.site.com and I add these pageviews. Leaves the site. Comes back a few days later to www.site.com and I wish to continue counting. How do I set and read a cookie over these subdomains. I suppose I like to have a *.site.com cookie. But how? Do you have a suggestion? Hi, the script that I've shared in this blog post takes the hostname of the current page and adds a "dot" at the beginning (and removes www). So if a visitor is on community.site.com, the cookie will be added to ".community.site.com", as a result, the cookie will not be reached by the www.site.com. document.cookie = cookieName+"="+cookieValue+"; expires="+expirationTime+"; path=/; domain=.site.com"
Just change "site.com" to the actual domain (without subdomains). Now I understand the code better. Hoping you can advise/help. I've been reading elsewhere that in line with GDPR, you should on first visit to a site give visitors the option to activate and deactivate specific types/groups of cookies. This includes the usual Analytics cookies as also any linked to Tag Manager. The general advice I've read is that these should be turned off by default and giving a toggle switch opportunity to turn them on. Assuming this is correct and visitors don't bother to activate that group of cookies, will this mean that any use of tracking via Tag Manager for things like form submissions, Adwords and general site stats is rendered useless? Hey, if cookies do not contain personal information about the visitor, then you have no problem (or if those cookies are not sent to other systems). To be honest, I'm still not sure what's going to happen next. Looks like the privacy law was prepared without looking at what's happening in the market. Also, the ePrivacy (new cookie law) is still not finished (it's expected to be prepared at the end of 2018), maybe it will shed some light. - implement a semi-compliant cookie consent which lets visitors act before being tracked (with the possibility to disable tracking) and all (or the majority) of tracking groups would be pre-checked. - Enable anonymized IP in GA, probably disable Display Advertising features. - Fire tracking pixels when the consent is given but it would be very easy to do so. Once again, I've read GDPR, I am aware of their suggestions, but seeing what's happening around (with other companies), I'm choosing to comply with the majority of requirements but not all. And then I'll see what happens on the market. Since even the EU itself is not ready yet, I don't think that (at least for now) there will be fines or big lawsuits for small/medium businesses. Large corporations maybe could be worried more. But that's just my position which can be easily changed/manipulated. So don't ever take this as a legal advice. - First step - "Are you from EU?" - If a visitor chooses "Yes", then another gate appears which offers to Accept all cookies with one click and a link to cookie settings. That way at least some portion of data will remain intact. Thanks for the taking the time for a detailed reply Julian. Having read and chatted to a few more people recently I'm pretty much on the same page as you. I would like to ask you if there any possibility how to save already allowed cookies to local storage or somewhere else. Thanks! Hey, in my guide you've already learned how to read cookies. Take that variable (or variables?) and use them in Simo's script which stores data in the LocalStorage. Here's his guide (session storage is also there). How can I store actual ?gclid value as cookie value? I have a question: What would the code look like, if I want to count the pageviews per PAGE. So when I browse to a new page, it should be always 1 and when I refresh the SAME page it should increase by 1. I want to trigger a special pageview for Goal Tracking, only when the count for a page equals 1. Looks like the 1st Party Cookie Variable is set on Page View. Any way to set the Variable on an event just like a dataLayer variable? Cookies can change in value on any event, might want to update the Variable's value to reflect the change if I'm using triggers that depend on this Variable. Still sounds strange :) why don't you just use "1st party cookie" variable in your triggers? Sorry if I wasn't clear. OP was saying that *I am* using the "1st Party Cookie" but it only sets through the first page load. I change the cookie on an event but the GTM 1st Party Cookie variable that I've created doesn't get re-set. I'm currently using dataLayer.push() as a workaround. I'm wondering if you had experience with the 1st Party Cookie and if you've been able to have it change when the cookie changes? Yes, I do have experience with that variable. 1st party cookie is checked by the GTM every time there is an event in the dataLayer. So if something changes the value of the cookie outside of GTM, its value in GTM will change only after at least one datalayer event, like click or something else. Could you provide a little more detail on implementing the 'Affiliate ID' use case? I have a URL that passes a unique value (e.g. www.domain.com/?src=XXXXXX), I was able configure a GTM variable to pass the value to GA as a custom dimension, but do not understand how to edit the cookie script to set those unique values on subsequent pages. I want to do a sort of "super conversion": A tag (or trigger) that fires when 3 conditions are met. But no matter what I try, either the tag is fired when EITHER of the 3 conditions are met or it doesnt fire in the first place. Furthermore, what got me here is the following: If possible, I'd like to use a persistent cookie for this conversion, so that if a user has, say, clicked only on 2 of the files but then returns some time later and clicks on the third, the trag will fire. Finally, and this is where it gets really tricky, I'd like to do the following: Actually, theres a total of 6 files on the page but 2 of them should be mandatory for the tag to fire. The tag should fire if those 2 plus ONE of the remaining 4 files are clicked. I just dont get it to work. I have the impression that (at least without the persistent cookie but maybe even with it) this should be simple but I must be missing something. 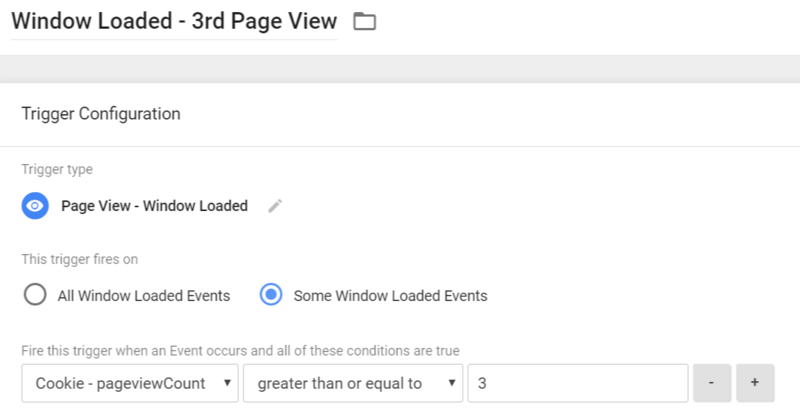 If you use 3 conditions for your trigger, GTM tells you that all of those conditions must be met. So I dont get where the mistake is. It might be in the tag, as I'm really not sure what to put in "label", "action" etc. but I might be on the wrong track altogether. Hey, create a separate cookie for each downloaded document (each cookie would need to have a different cookie name) and use all three 1st party cookie variables in your trigger. So for starters, I'd go with separate cookies for each downloaded document as it can be achieved even by a non-developer. I actually tried it similar to how you described it before I read your reply. I created a cookie for each file but in that case the tag gets triggered everytime I click on another page. Since the cookie is persistent, the trigger "remembers" that the cookies have already been triggered. Once I visit a different page, the cookies are still triggered, hence the tag will get triggered every time a new page loads, as the cookies are still active. God, I'm awful at describing this. Sorry! Still thanks a lot for your reply! - What are the current conditions of your click trigger that fires too often? - When *should* that trigger fire? I mean, when do you want it to fire? When it is executing its creating some cookies with name _utma, _utmb, _utmc etc.. Cookies are created without http and secure attribute, this is security concern and raised by our scanner team. Could you please suggest how to make these cookies with http and secure attribute? These cookies have nothing to do with GTM. They belong to Google Analytics. 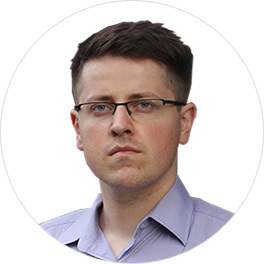 In fact, they belong to Classic Google Analytics which is an outdated technology. You should migrate to Universal Analytics, which is the new version. And by saying "Migrate" I mean that you need to refactor the entire GA tracking implementation and start using Universal Analytics tags. The average time on page is just a difference between one page load and another. Events do not affect it. I am finding that the JS is only working with the first line and any line after the first doesn't work. Any thoughts. Here is my code. How the final code for setting up a session cookie should look like?